The Ghana Tourism Authority (GTA) in collaboration with the Arts and Tourism Writers of Ghana (ATWAG) yesterday held a sensitisation workshop for travel and tourism writers in Accra. The programme, held at the Accra Tourist Information Centre, gave the writers an insight into the operations of the Ghana Tourism Authority. The workshop was on the theme, “The Role of ATWAG in Ghana’s tourism drive”‘. Mr Akwasi Agyeman expressed his excitement about the engagement and asked that the two bodies worked together more regularly to ensure growth in the tourism sector. “There are suggestions that we believe will come from ATWAG members on how to do our work better and how we can together work to improve the industry,” he said. He also said his institution was planning on organising familiarisation trips for ATWAG members to tourist sites in the country to enable them to have first-hand information and also experience the tourism products that the nation has to offer. Officers from the GTA including Mr. Ekow Sampson (Acting DED Operations), Mrs. Roberta Dawson Amoah (Director, Marketing), Mr. Ben Anane Nsiah (Director, Planning, Development and Investment) and Mr. Alex Boakye (Director, Standards and Quality Assurance) took turns to explain the various components of the authority’s operations and also answered questions from the writers. Mr William Asiedu, the President of the Arts and Tourism Writers Association, expressed the association’s readiness to help develop and promote the tourism industry. “ATWAG is ready to help move this industry forward. We are not interested in what your political colour is. We are a professional group of journalists who are interested in the business of tourism, arts and culture and to some extent, chieftaincy affairs,” he noted. He further stated that one of the biggest challenges of the association was the way some writers use technology, which gives room for hastily done works to be published. He was however hopeful that with the necessary education, the situation would change for the better. A tourism expert and CEO of Africa Tourism Partners, South Africa, Mr Kwakye Donkor challenged the Ghanaian media to work with the tourism authorities to promote the country positively. He noted that all the major media organisations, including CNN and BBC, do not broadcast negative news to discourage people from visiting their country and that is the attitude the Ghanaian media should have in helping promote the country. 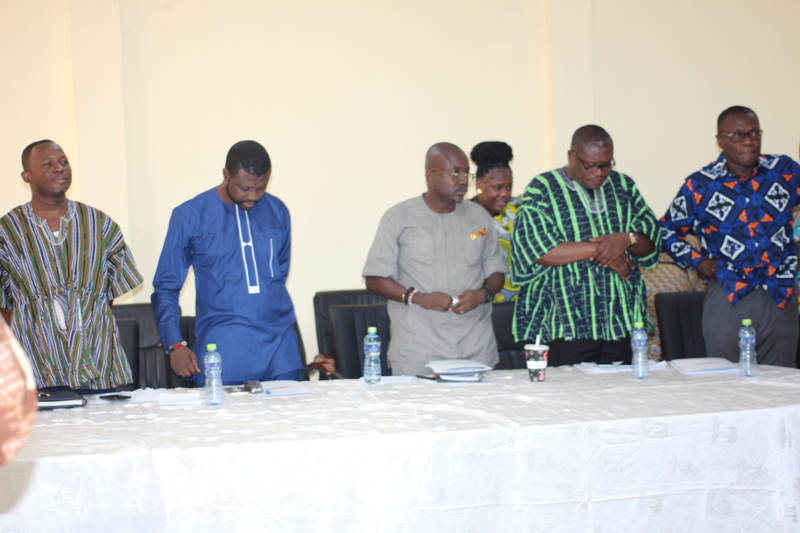 The Arts and Tourism Writers Association of Ghana, as part of its capacity-building programmes, has lined up activities to help its members understand the operations of the various institutions in the industry. In December last year, ATWAG organised a masterclass hosted by Ghanaian musician of international repute, Wiyaala, and her manager, Mr John Sherren to throw light on how best musicians and arts writers could work together for their mutual benefits. Ghanaian film director Peter Sedufia grabs another international nomination for "Keteke"